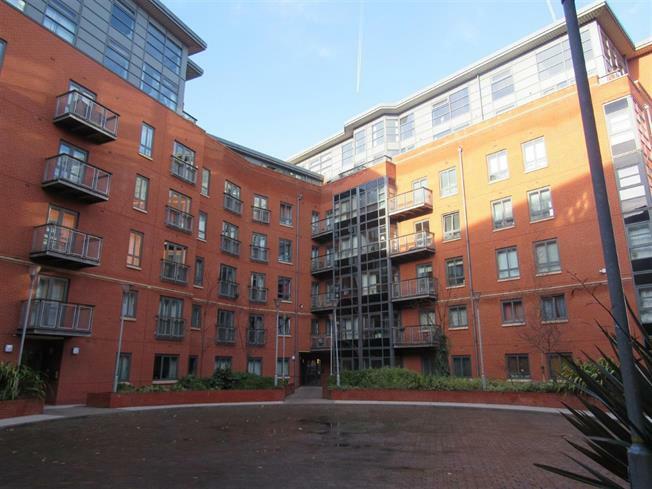 1 Bedroom Flat For Sale in Greater Manchester for Offers Over £130,000. Castlefield Locks is the epicentre of stylish luxury living in a vibrant urban environment, located next to a private water basin. Tarn House is perfect for commuters seeking the ideal city lifestyle, viewing is highly recommended. This spacious one bed offers a spacious living area with stylish kitchen & fitted bathroom. This apartment is priced to sell, be quick. Chain free. Wooden front . Radiator, laminate flooring, painted plaster ceiling, ceiling light. Double glazed uPVC window. Radiator, laminate flooring, painted plaster ceiling, ceiling light. Roll edge work surface, fitted, wall and base and breakfast bar units, double sink, circular sink and with mixer tap, integrated, electric oven, integrated, electric hob, stainless steel extractor, integrated fridge/freezer. Heated towel rail, tiled flooring, painted plaster ceiling. Low level WC, roll top bath with mixer tap, shower over bath and thermostatic shower, wall-mounted sink with mixer tap, extractor fan.